Unless my parents are pandas, which I highly doubt it. Well, pandas still have to look good for photos.. This is my go to concealer for undereyes at the moment. It's my best colour match so far so I'm happy. Also, I bought this during the sale so.. Yay! 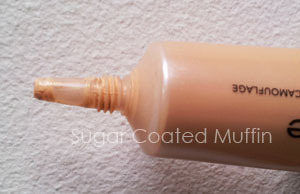 I had many 'UHU Glue moments' with this concealer as it's quite watery and will overflow if you don't leave it standing. I've learned to shake the concealer away from the nozzle before opening it to avoid it oozing out like a volcano. It's watery enough to spread easily without dragging on the delicate skin and doesn't really look cakey nor settle in fine lines. The medium coverage doesn't conceal everything so it still looks pretty natural (except you look better lol). The concealer is yellow based which suits my skin. I would prefer it to have a little brightening effect so I mix it with a little Lancome foundation. I warm them between my fingers and pat it on. Product says : This soft fluid concealer minimizes pores, softens fine lines and covers signs of fatigue for a luminous complexion. The fluid texture blends easily leaving skin soft, smooth and flawless. A hydrating complex and black tea derivative help maintain skin hydration levels. This medium coverage concealer is formulated with an advanced breakthrough lipo-siliconic complex which creates a thin veil for a natural look. 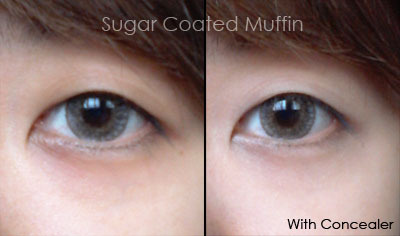 Perfect for concealing fine lines under the eye area. 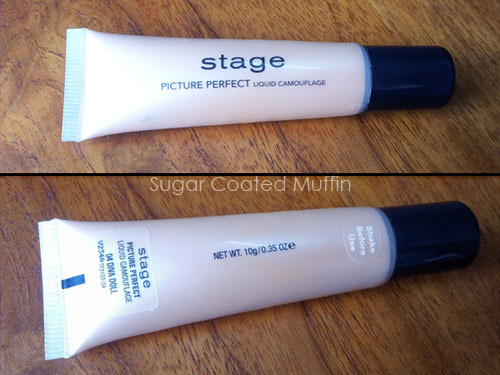 Apply with a concealer brush or fingertips before or after Picture Perfect Foundation. Blend as required and set makeup with Photo Finish Dusting Powder. Ingredients : Water, Dimethicone, Hydrogenated Polyisobutene, Cyclopentasiloxane, Zinc Stearate, Glycerin, Isononyl Isononanoate, Dimethicone Crosspolymer, Sorbitan Isostearate, Caprylyl Dimethicone Ethocyglucoside, Sodium Chloride, Cetyl Dimethicone, Squalane, Dimethicone / Vinyl Dimethicone Crosspolymer, Methylparaben, Potassium Sorbate, Propylparaben, Sorbitol, Sodium Dehydroacetate, Lauteth-4, Tocopherol, SAccharomyces / Xylium Black Tea Ferment, Ascorbyl Palmitate, Hydroxyethylcellulose, Hexylene Glycol, Fructose, Glucose, Sucrose, Urea, Dextrin, Alanine, Glutamic Acid, Aspartic Acid.